Walmart is attempting to position itself as the key mover and shaker in the renewable energy sector, and indeed, when Walmart makes a clean energy move it reverberates through the market. Walmart’s status as a leading company in terms of renewable energy adoption was furthered on 15 October with the release of the Solar Means Business report, which noted that Walmart remains America’s commercial solar leader, followed by Costco, Kohl’s, Apple, IKEA, Macy’s, and Johnson & Johnson—all in the top 25. Walmart currently has 89 megawatts of solar power at 215 locations. "As we work toward our ambitious goal to be supplied 100 percent by renewable energy, solar energy continues to be an important part of our renewable energy portfolio," Kim Saylors-Laster, vice president for energy at Walmart, said in a statement. 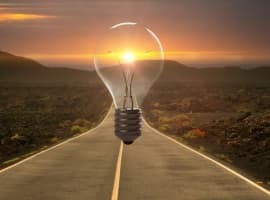 "With our size and scale, Walmart is in a unique position to encourage innovation and accelerate the adoption of cost-effective, clean energy alternatives, including solar power." By 2020, Walmart wants to procure 7 billion kWh of renewable energy--the equivalent of powering 620,000 average American homes for a year. Some will go as far as to say that Walmart is the key driver of the renewable energy industry. “Every time Walmart makes a green commitment, it has reverberations throughout entire industry sectors. That's just what happens when you're the world's largest corporation. 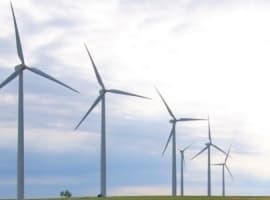 And that's why Walmart's work in renewable energy could have a major impact,” writes the Energy Voice. Since Walmart first announced its ambitious sustainability goals back in 2005, it has reached several milestones that keep it in the limelight for renewable energy followers. Not only do those goals include powering its operations 100% through renewable energy, they also include creating zero waste and selling environmentally sustainable products. 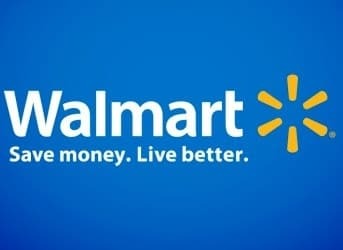 In 2012, Walmart reached a goal of a 20% reduction in its greenhouse gas emissions. 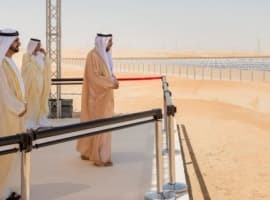 As for solar, Walmart’s status as the American leader has come about in partnership with SolarCity, which handles the majority of Walmart’s solar installations. Walmart plans to install solar systems in 6,000 more stores over the next six year.